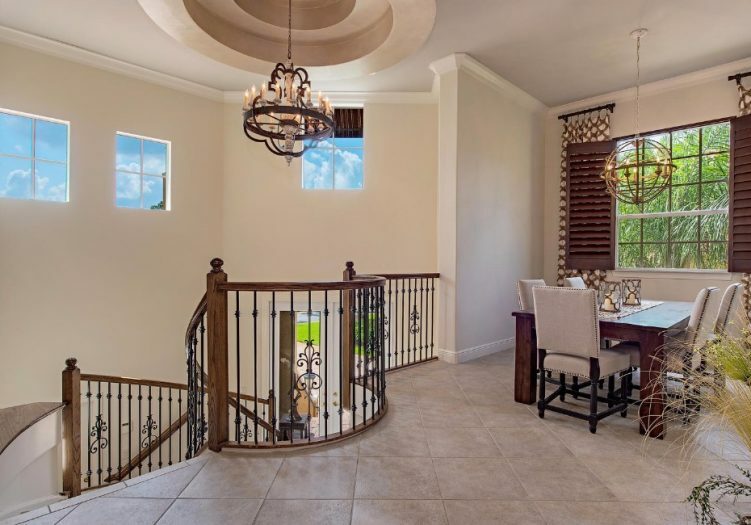 As you enter the foyer of this luxurious coach home you are greeted by the winding stairway that leads up to this gracious open floor plan. 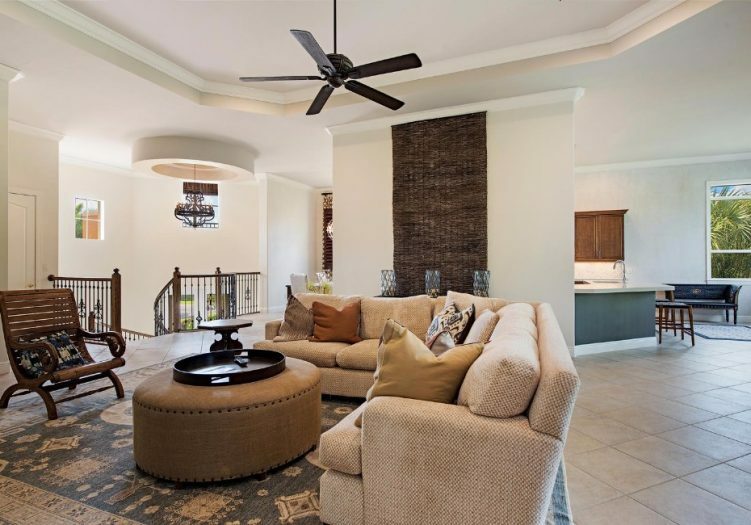 An abundance of upgraded amenities throughout this 3 bedroom plus den, 3 full bathroom residence includes volume ceilings with wide crown moldings and tray design, arched passageways, French door entry to the den, gorgeous wall treatments, flooring tile laid on the diagonal in the main living areas, and beautiful rich wood flooring in the bedrooms and den. 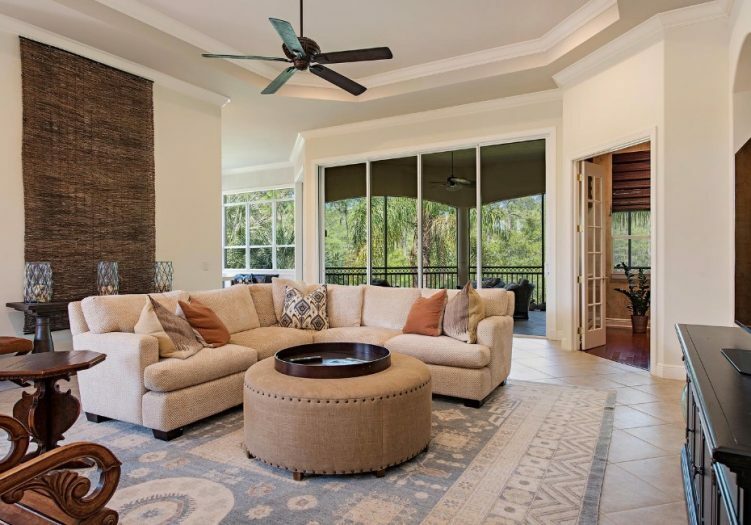 The spacious great room has remarkable views through the oversized sliding doors that open to the lanai and an adjacent formal dining room for endless entertaining possibilities. 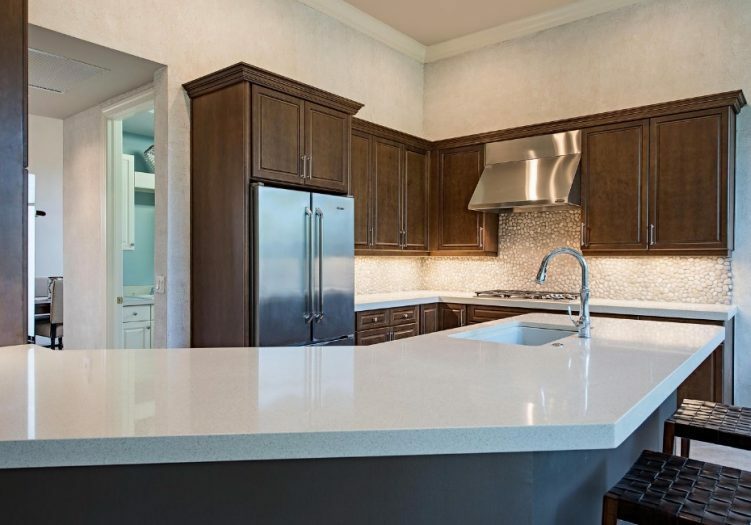 The gourmet chef’s kitchen features upgraded stainless steel Dacor appliances including a five burner gas stove, wall oven and microwave drawer with an additional warming drawer below, as well as rich wood cabinetry, river stone backsplash and quartz countertops on the work surfaces and breakfast bar overlooking the breakfast nook. 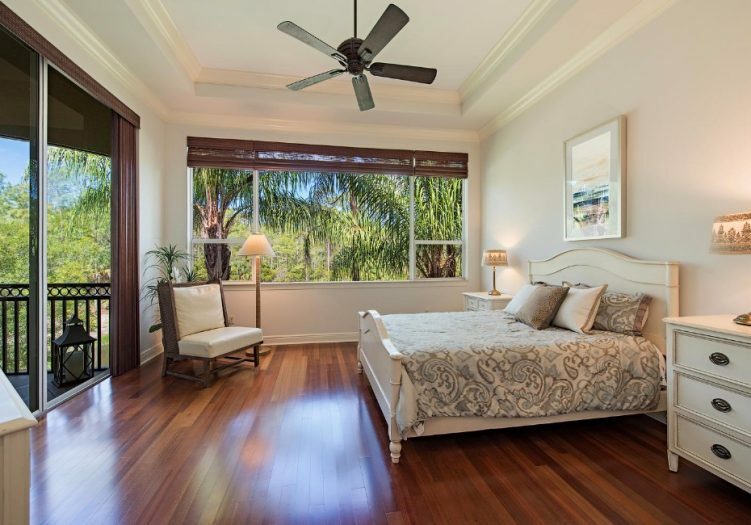 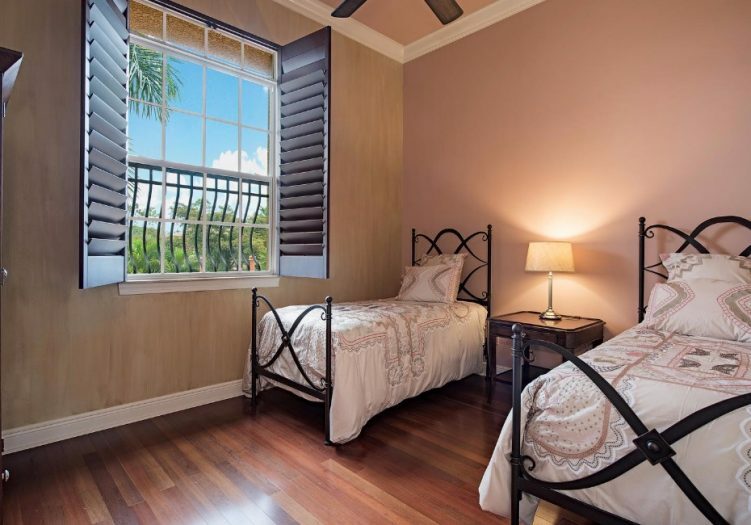 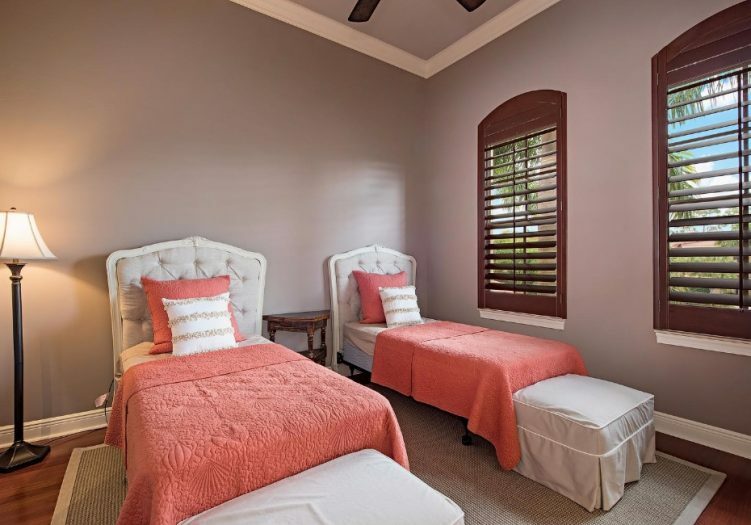 Retreat into the relaxing master suite highlighted by wood flooring in the master bedroom, oversized windows and direct access to the lanai. 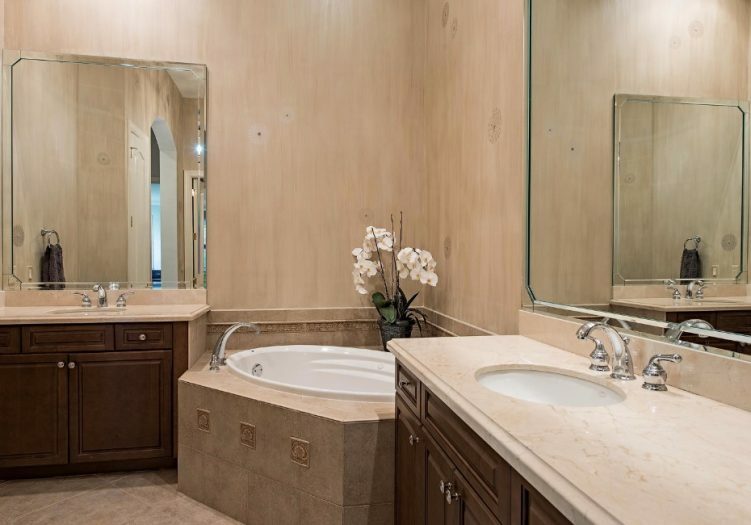 His and hers vanities, custom mirrors, a large soaking tub and separate walk in shower. 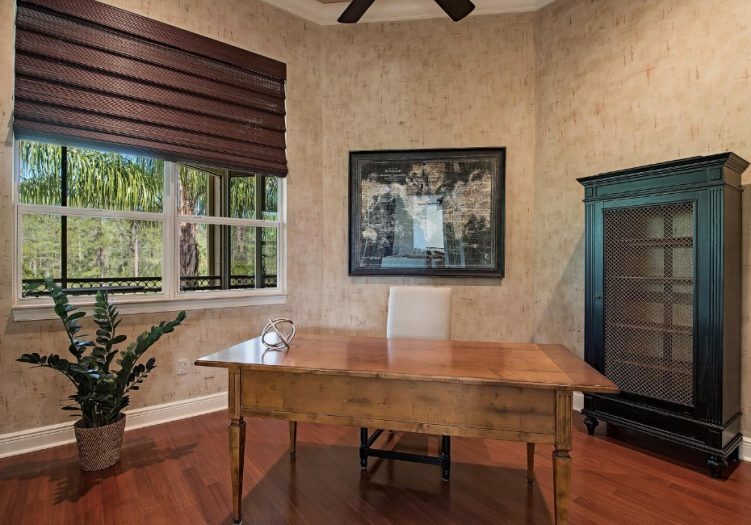 The den is a perfect work area or an intimate gathering space right off the main living area. 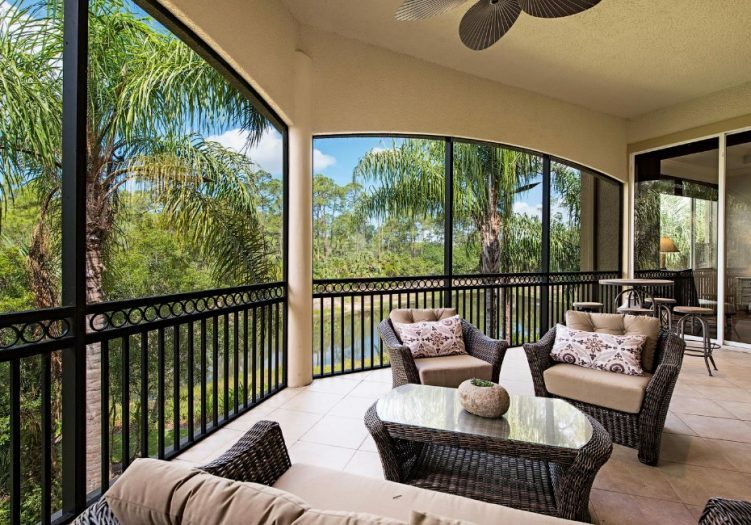 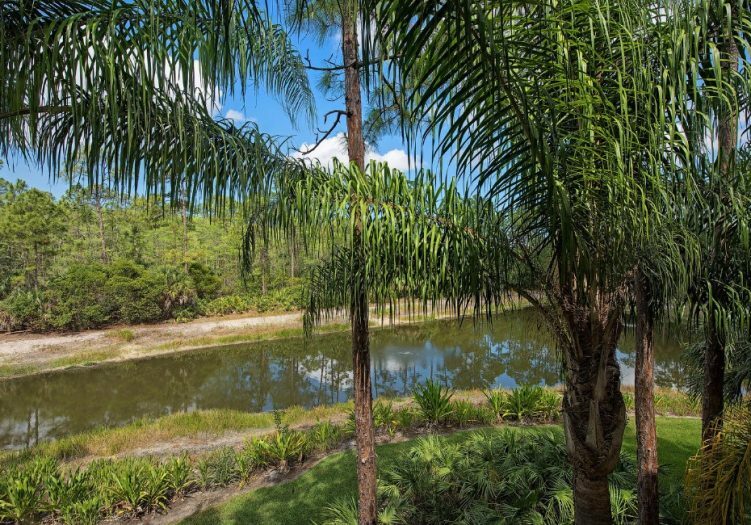 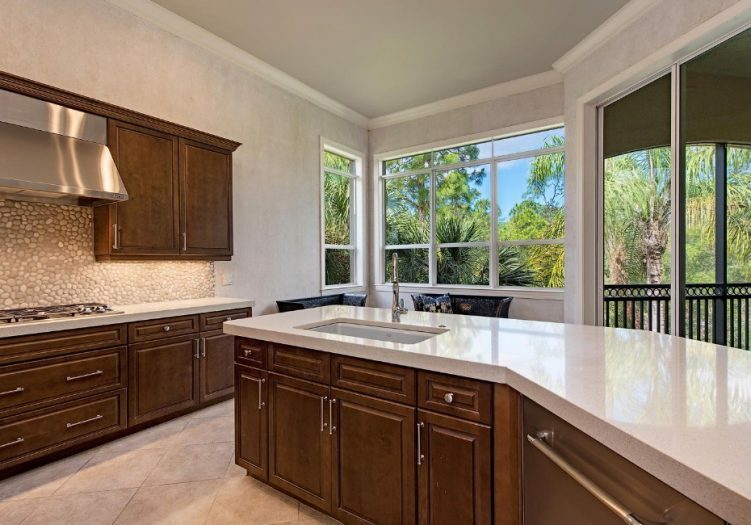 Enjoy tropical paradise out in the screened lanai boasting sparkling lake views and natural landscapes as the perfect tropical backdrop for this exceptional residence.